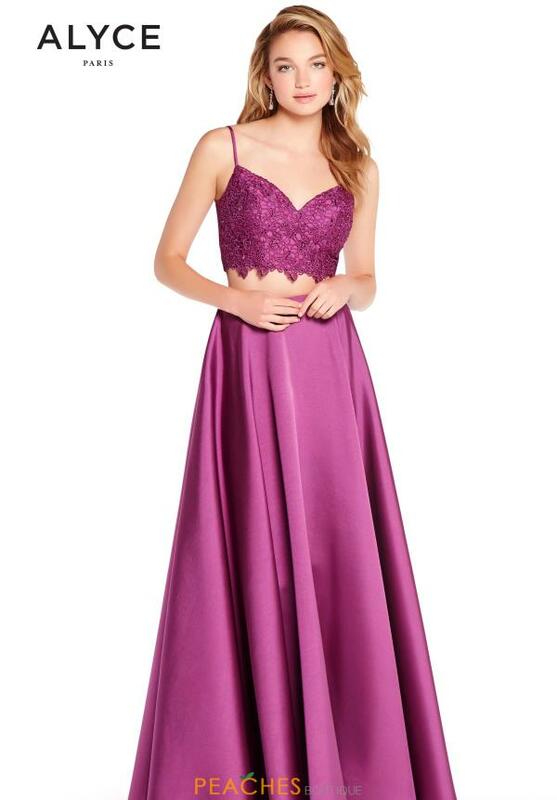 Stunningly stylish this Alyce Paris dress is perfect for your senior prom. Style 60056 is a two piece ensemble that showcases a lovely crop top that is made out of lace and features a thin strap detail along with a scalloping trim at the bottom. The long a-line style skirt is made out of a fabulous mikado fabric and features a defined waistband that will flatter your waist.